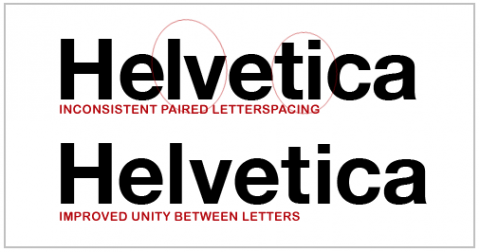 In 10 Common Typography Mistakes Brian Hoff lists 10 common mistakes used in type design/layout that can make a large impact in the effectiveness and appearance of your designs, in addition to saving you time and money when dealing with printers. In my day characters in headlines were all kiss-fit, created on Typositors by slaves whose knowledge of English was linited at best. Congrats to Brian Hoff and to you for posting this. Bugs me that Adobe software is set to metrics by default, when Optical is a great basic auto setting. Would solve half the kerning/tracking issues in the world right there. now if you would just “shout” that people need to stop using the foot mark as apostrophes, then i would die a happy person. Nothing new here. Same old story as far as I’m concerned. I’ve known this for years. Typography 101. Apparently Bernie is the only person in the world. Can never know too much, so thanks for posting this. Also showed up in The Week in Type. Well, as a non-professional with an interest in typography, I found it interesting. “l” and the “v” is off!! Yawn. He made the kerning worse. It’s not about unity, it’s about opening your eyeballs and making it looking good.